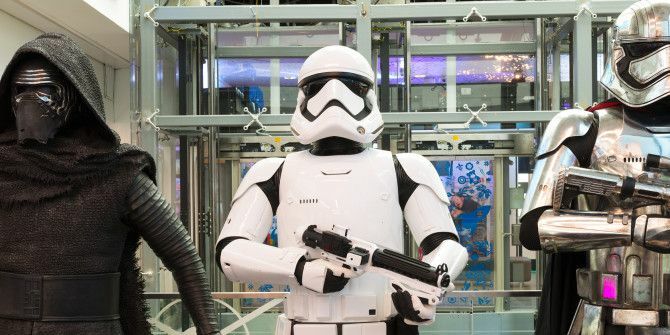 How to Reset Windows 10's Facial Login With "The Force"
Windows 10 includes many more ways to log into your PC than just a password. We’ve covered how to log in with all sorts of other methods How to Log Into Windows 10 With Finger Scans & Facial Recognition How to Log Into Windows 10 With Finger Scans & Facial Recognition Instead of using a password or PIN, you might be better off using fingerprint scans or facial recognition! But there are a few risks associated with them. Here's what you need to know. Read More , including a PIN, drawing on an image, scanning a fingerprint, and even logging in with your face. If you’re a Star Wars aficionado (the kind who knows all the silly mistakes in the movies 12 Star Wars Mistakes You Have Never Spotted Before 12 Star Wars Mistakes You Have Never Spotted Before Crew members where they shouldn't be, anachronistic technology, and continuity errors galore. All of these mistakes are present in the Star Wars movies, but we doubt you have ever spotted them before. Read More ), you’ll be pleased to know that Windows 10’s facial login can be helped along using The Force. When you use facial login, the system attempts to match the face it sees (hopefully yours) with the one it has on record. If it determines that it doesn’t have a match, it has to “discover” a new face before it will try to scan again. So, if it doesn’t detect your face because of a low-light situation or similar, you have to move your head away from the scanner and back again. Or so the non-Jedi think! Amazingly, you can channel The Force and wave your hand slowly in front of your webcam to fool the software into thinking it’s seeing a new face. As a Jedi, you’re able to fool technology like this with no problem; try it out! Interested in more uses for your webcam? Check out interesting ways to utilize your webcam 10 Ways You Could Use Your Webcam That You Haven't Thought Of Yet 10 Ways You Could Use Your Webcam That You Haven't Thought Of Yet There's a surprising amount you can do with that webcam, so let's take a look at some uses you might not have thought of. Read More beyond just Skyping. Did you try The Force when logging in? Let us know if you enjoyed this tip below! Explore more about: Face Recognition, Troubleshooting, Windows 10.